Ald. Robin Rue Simmons (5th) looks on during a May City Council meeting. At a Tuesday meeting, the city’s Board of Ethics found Rue Simmons was not in violation of the code of ethics. At Tuesday’s meeting, the city’s Board of Ethics found that Ald. Robin Rue Simmons (5th) did not violate the code of ethics after an Evanston resident filed a complaint in March alleging that Rue Simmons had a conflict of interest. The complaint was submitted against Rue Simmons by Misty Witenberg, who ran against Rue Simmons for alderman in 2017. Witenberg originally submitted nine allegations, but the board found that all but one allegation fell outside the board’s purview at a March meeting. The allegations in the complaint stated that Rue Simmons had a conflict of interest surrounding grant funding received in 2017 by Chicago nonprofit Sunshine Enterprises, which employs Rue Simmons. Sunshine Enterprises, launched by Sunshine Gospel Ministries, provides training in business management and development to local entrepreneurs or small business owners. At the beginning of the meeting, Board of Ethics Chair Kelda Harris-Harty read a statement clarifying the Board’s decision to review the funding given to Sunshine Enterprises after Rue Simmons took office in May 2017. Harris-Harty said the Board heard a conflict of interest issue in May 2017 regarding presentations to the Economic Development Committee by Rue Simmons on behalf of Sunshine Enterprises for a grant in October 2015 and August 2016. Harris-Harty restated that the Board previously found Rue Simmons in no violation of the code of ethics after reviewing the presentations at the May 2017 meeting. Rue Simmons and Witenberg both presented to the Board at Tuesday’s meeting. Following both statements, the board went into executive session. 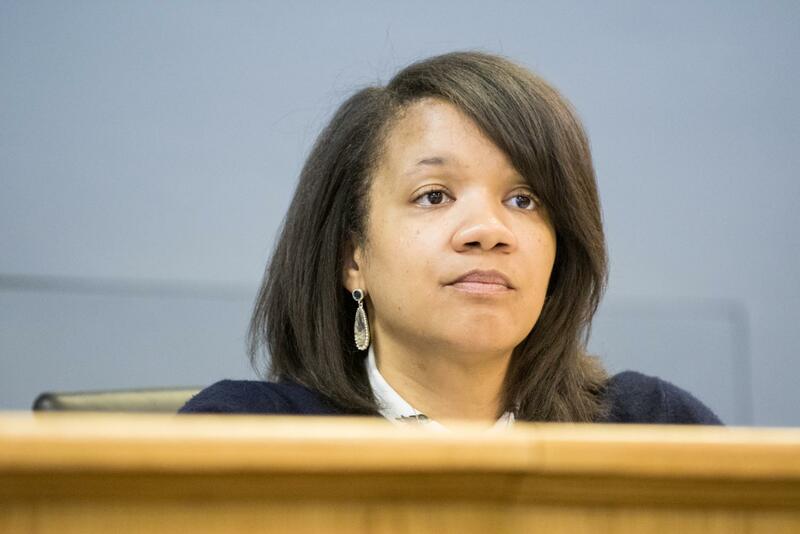 During her statement to the Board, Rue Simmons said her work with Sunshine Enterprises was one of her qualifications to be an alderman and she spoke “freely” about her “noteworthy” work with the organization. Board member Karena Bierman, who presented the board’s findings at the end of the meeting, said it was “very clear” to the board how important this issue is to the community and recognized the effort put into raising the complaints and ethics violations. Bierman added that the board previously ruled on the complaint brought before the board at Tuesday’s meeting was similar to a previous decision by the board. Bierman added that the ethics board is not the “gateway” for all complaints against city government. She said the claim and presentations today were related to the administration of the grant and recommended it be reviewed by the appropriate city staff, such as the Community Development Department.